Mumbai(PTI) Actor Arjun Rampal, whose film “Daddy” is based on the life of Arun Gawli, says the movie is not an attempt to glorify the life of the gangster-turned- politician. The 44-year-old actor insists that it should be left to the audience to form an opinion about Gawli after watching the biopic, directed by Ashim Ahluwalia of “Miss Lovely” fame. “He has so many layers in life and they are so intriguing. It’s not that we are making a propaganda film about him… The audience needs to make an opinion about him,” Arjun told PTI. The actor says he is not glorifying Gawli on screen and is presenting his life story the way it is. The actor does not believe that he has taken a risk by making a biopic on a gangster rather than opting for an achiever’s life as is the norm in Bollywood. “Any film is a gamble or risk. You don’t know what film is what. Like ‘Neerja’ is a a biopic on an air hostess. Who would have thought that it will work? Every film is a risk as the idea or story might sound interesting but it can either go right or wrong,” he says. Arjun recently released the trailer of “Daddy” and he is happy that Gawli and his family have liked the movie. 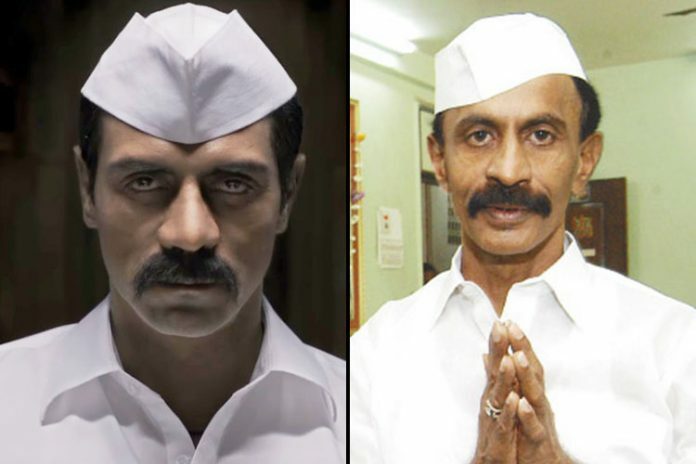 “When he (Arun Gawli) was out on parole he saw the film and he really liked it. It’s a hard-hitting film so he was like ‘zyada hogaya’ (too much). He is happy and even the family is happy. They have seen the reaction to the trailer and they have more faith in the project,” Arjun says. The crime drama is set to release on July 21.
directed by Ashim Ahluwalia of "Miss Lovely" fame. says the movie is not an attempt to glorify the life of the gangster-turned- politician.